Start your engines! Tonight I'm back for yet another brief Mattel Cars 3 1:55 scale diecast review. Check out this year's single release of Blind Spot, one of the many awesome demolition derby racers seen in the film! This character was also released last year in a 2-Pack with Pushover, but I was never able to find that set. 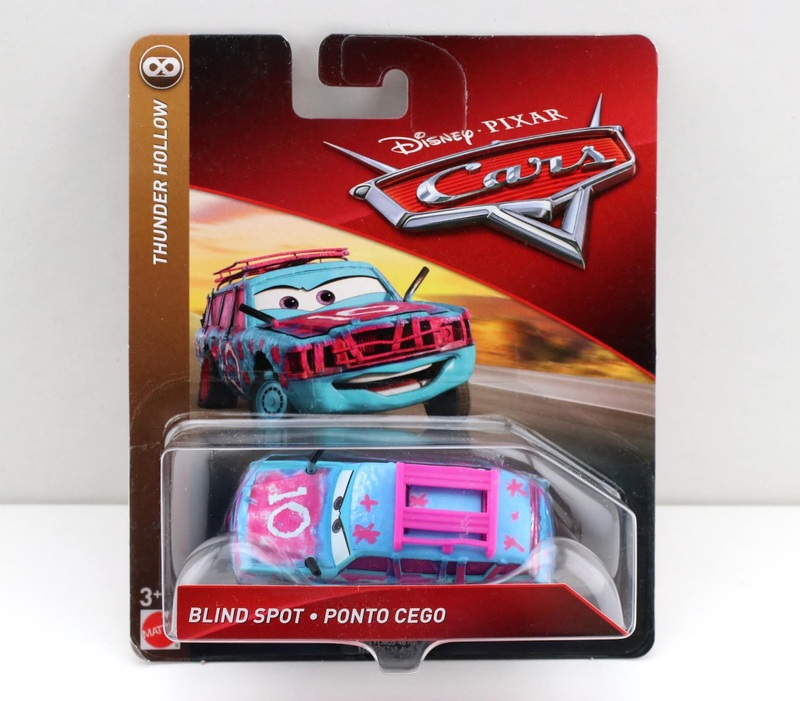 Good thing both Blind Spot here AND Pushover were re-released in single packs! Now I have them both and my demolition derby cars collection is almost complete. As shown in the screen shot above, Blind Spot makes a couple brief appearances during the Crazy 8 demo derby sequence AND later on in the film when the Thunder Hollow cars are seen at a bar watching McQueen's final race on TV. 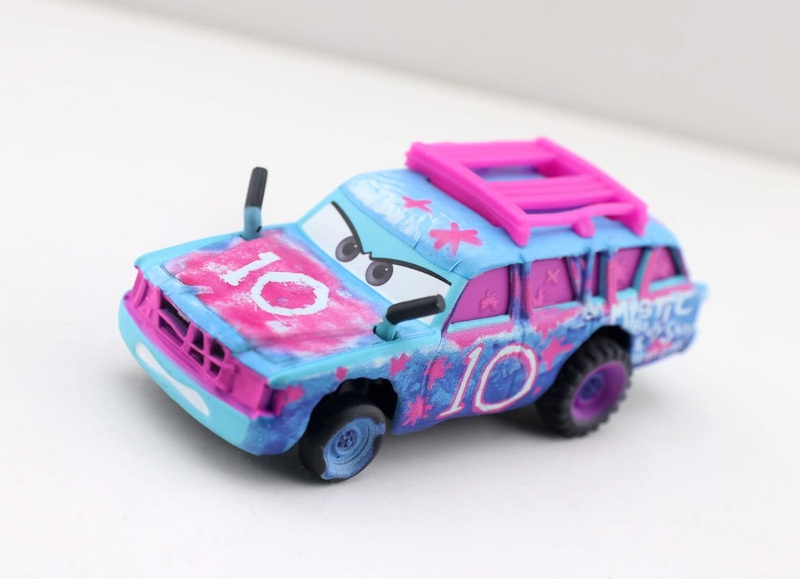 She (yes, this is a female car according the Cars Wiki page) sports the racing number 10. Once again this is a vibrantly painted and perfectly detailed car. I love the unique hot pink and blue color scheme! You know I've loved collecting all the Thunder Hollow cars. They never disappoint. Find Blind Spot in stores now (check your local Target and Walmart), or snag her online using the direct Amazon link below. What are your thoughts? Shout them out down in the comments!